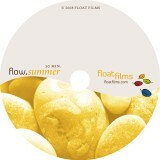 Float Films makes videos that help you to slow down and relax, relieve stress, and recharge. We create movies for people to live longer, happier, healthier lives. Founded in Ottawa in 2008, Float Films’ first clients were working mothers. We’ve been growing ever since, with clients ranging from seniors to young children, from corporate executives to athletes and in countries all around the world. You are not your emotions. Emotions pass. You are who you are, based on a lifetime of experience. Always remember to breathe. Breathe deep. Relax.